Erdman Anthony offers clients the ideal mix of talent, state-of-the-art technology, and engineering experience. Each is critical when turning visionary ideas into compelling reality. Erdman Anthony designs the future for a broad range of clients, including those in the industrial, commercial, utility, oil and gas, institutional, and government sectors. From concept through completion, our professionals provide personalized attention, breakthrough ideas, added value, and attention to detail. 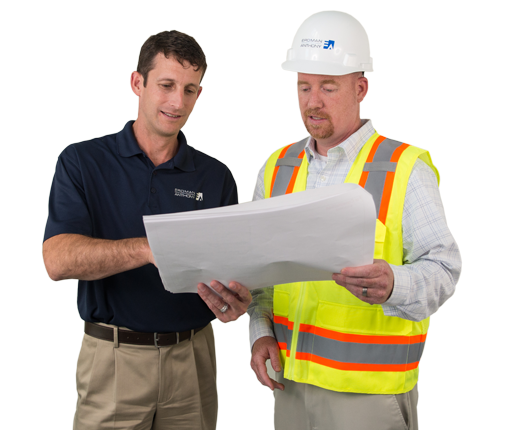 Erdman Anthony is your engineering solution for local projects. Discover all of Erdman Anthony's experience, sorted by your preference. Are we your kind of place? What's it like at a company owned by employees? See for yourself how collaboration, friendship, experience, and knowledge make us the community that builds communities. Working with Cold Spring Construction Co. on a New York State design-build project, Erdman Anthony designed an innovative replacement for the old South Cascade Drive/Miller Road Bridge over the Zoar Valley in western New York. The new 620-foot bridge opened in May 2017, with the tallest hammerhead pier in New York State.